This is a great breakfast dish. I make it for my grandmother and mother and they always eat it up. It is gently sweet, eggy, and fills up the belly. 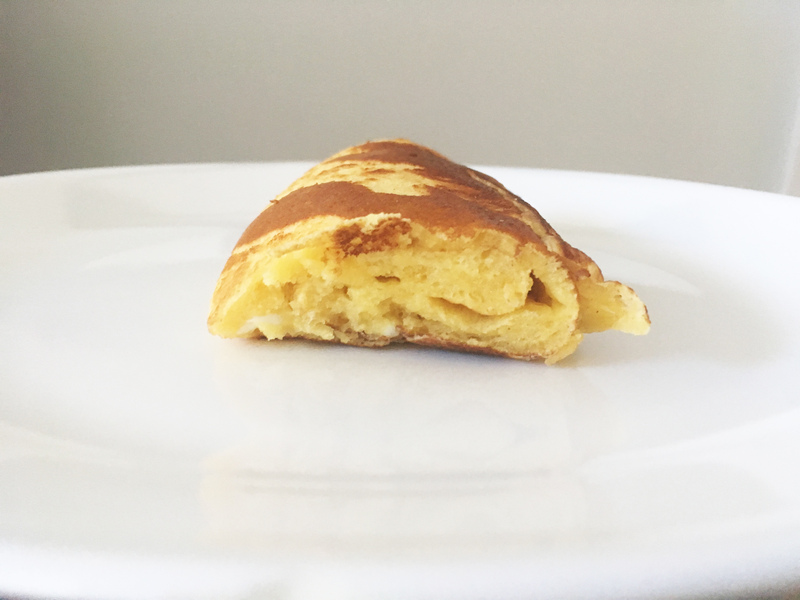 It reminds me of a combination of a pancake and tamagoyaki (rolled Japanese omelette). The only part that you might have a tiny issue with the first time making this is the rolling part. And again, I make this on a whim with no measurements, so don’t have anything exact to write down for the pancake mix, etc, but hopefully, after this pregnancy at some point, I’ll be able to write down recipes more thoroughly. I pour pancake mix into a mixing bowl, maybe like 1.5 cups worth? Mix in the two eggs. Mix in evaporated milk until you get a pancake like mixture. Add in sugar, however much you think you want. I don’t like this overly sweet, so only add in a few tablespoons. 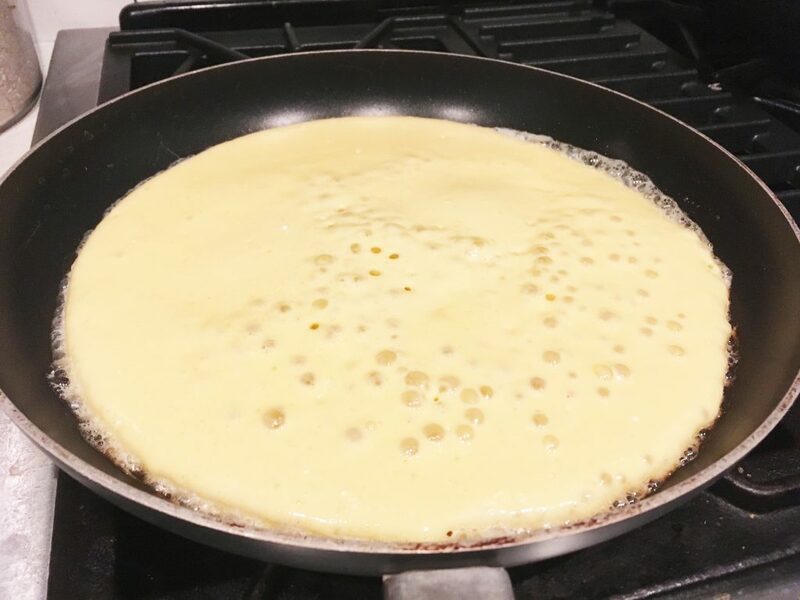 In a large, heated, buttered pan, pour in all of the batter. Keep cooking over gentle medium heat. Once bubbles start to form, use a spatula to start rolling one side. But as you do that, roll and pull the entire pancake into the empty space that you created and let batter roll off into the empty space on the other side of the pan that you just created. 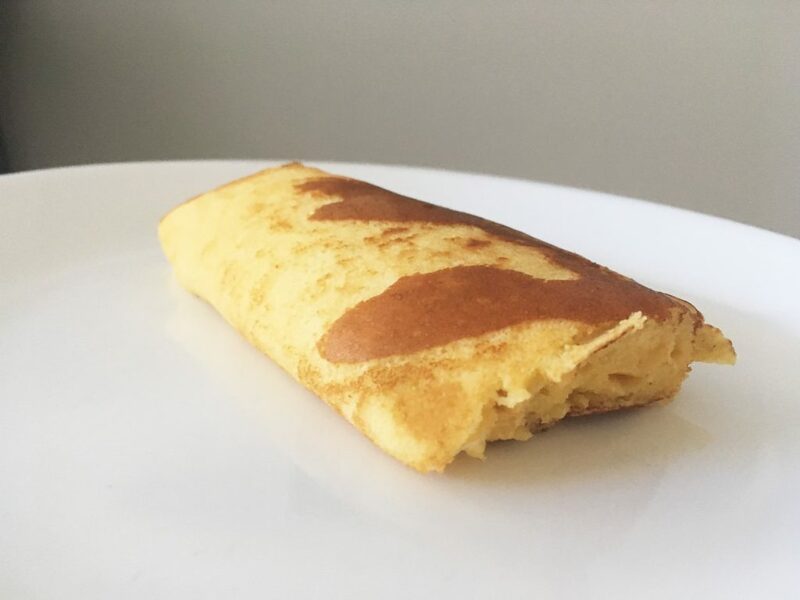 Keep doing that each time the new batter that hits the pan is cooked through till you end up with one rolled pancake. One of these is big enough to serve two people.